We like to flatter ourselves that we live in extraordinary times. Every four years, for example, we are told that this presidential election is “the most important of our life.” Those of us who make a living paying attention to public things, as well as politicians who participate in them, have an incentive to see our age as more pivotal than it really is. After all, where is the market for the “things today are quite ordinary” book? When has a political or intellectual sensation been caused by arguing that nothing really important is happening? So it is with some trepidation and self-knowledge that I say we may actually be living in a truly critical time. We seem to be living in a period of unusually significant change and an unusually vital questioning of basic assumptions. Note the raft of books, some of them quite popular (as books go these days), questioning the very fundamentals of our regime. Works by Patrick Deneen, D.C. Schindler, Anthony Esolen, Yoram Hazony, and Carlo Lancellotti’s introduction of Augusto Del Noce to the English speaking world all offer stinging critiques of the liberal assumptions of the American regime, particularly that of Lockean liberalism. Another entry into this field is by John Milbank and Adrian Pabst, asking us to look to a “post-liberal future.” Now Pabst, Reader in Politics at the University of Kent, has produced a solo work, The Demons of Liberal Democracy, that offers a brief but thorough and highly readable diagnosis of our times and offers various curatives to our ills. 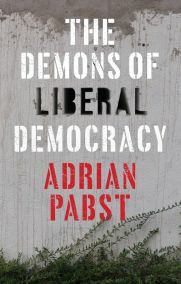 Pabst’s title should call to mind the recent work by Polish thinker Ryszard Legutko, The Demon in Democracy: Totalitarian Temptations in Free Society. While Pabst seems more hopeful for Western democracy than is Legutko, his critiques are certainly biting, provoking the reader to reconsider certain fundamental assumptions of Western-style democracy. Pabst’s essential critique of the West is that economic and political power cooperate to create a “litigious culture that privileges the powerful and wealthy while undermining equal access to justice.” Elites old and new “use the procedures of representative democracy in order to increase their power, wealth and social status.” Combine this centralization of economic and political power with liberalism’s concern with procedural goods to the neglect of substantive goods, and you have a recipe for deep discontent. Centralization of economic power allows corporations to extract major concessions from government (note the slavish attempts of cities to woo Amazon in its recent hunt for a new headquarters), while large market share allows for monopoly and monopsony, the ability to dominate the market at all levels. An example of monopsony is Amazon’s capacity to demand certain concessions from book publishers as a condition of selling the publishers’ books. Amazon’s market share allows it to set conditions on everyone in the vertical market, from producer, to laborer, to consumer. Leaving the subject of economics, the rest of the book deals with various consequences of liberalism’s lack of appreciation for humanity’s social nature and the baleful consequences of a religious-like devotion to autonomy. Echoing Alasdair MacIntyre’s division of contemporary life into emotivism on the one hand and managerialism on the other, Pabst believes that the West is both post-modern and technocratic. “Liberalism…separates fact from value and privileges supposedly enlightened elites over the common sense of the people. That is why liberal democracy is caught between the pseudo-scientific truth of technocrats and the emotive ‘post truth’ of insurgents.” Pabst laments, “Contemporary liberalism’s equating of liberty with the freedom to choose is manipulative because no positive forms of freedom aimed at shared ends are permissible within a liberal settlement that defines the horizon for economic or political decisions.” With no view of the substantive good, we are left with nothing but the will to power. We are left with an open field in which demagoguery runs free, not exactly solid grounds on which to found a just, decent society. With its obsession with autonomy, liberalism fails to account for the “intermediary institutions” that give individuals and communities purpose. In this sense, Pabst applies his critique of centralization of economic power to that of centralization of governmental power. With little connection between governing elites and the common people, governing becomes about acquisition of power and status by that elite. Pabst believes, “Political authority is more effective and democratic if it is decentralised in line with the principle of subsidiarity.” In addition to the rather typical calls for stronger local governments, Pabst advocates giving citizens paid time off from work to engage in civic activity. Pabst’s book is a pithy, nuanced, and provocative take on the travails of Western liberalism. That is not to say it is without its shortcomings. One hesitates to criticize an author who presents daring policy proposals, but some of Pabst’s policy suggestions lie between the unrealistic and the unsettling. For example, his calls for greater regulation to challenge the centralization of economic power need discussion as to how this does not simply mean the greater centralization of political power. As Pabst’s own argument proposes, too often attempts to regulate big business end up raising the cost of entry into a particular industry, further solidifying the position of the largest players. The Dodd-Frank banking regulation bill passed after the economic collapse of 2008-2009 is a case in point. Intended to put boundaries on bank activity, thus exposing customers and the public to less risk, the outcome was a byzantine set of regulations that small and medium sized banks struggled to navigate while the biggest banks, with their bevy of accountants, lawyers, and lobbyists, used this befuddling regulatory environment to actually increase their share of our nation’s bank deposits. Pabst’s diagnosis of the rent-seeking behavior of business should lead him to note the fact that the largest corporations often welcome regulation as it tends to solidify, not threaten, their existence. Regarding media, Pabst calls for punishment of outlets that engage in “willful lying and deception” and fines for those who “produce and distribute bogus stories.” He suggests we create grades for media outlets based on “established credibility.” It takes very little creativity to imagine a scenario in which such power is abused. Who decides what is “willful lying”? Which stories are valid and which are “bogus”? Who precisely will set the standards for “established credibility”? Does Pabst believe that such decisions will be made devoid of self-interest? He should recognize, and recent news events may be demonstrating, that standard libel law gives at least some protection against the worst abuses of media. Also, a challenge to all dedicated to localism is what precisely is the incentive for those who currently benefit from political centralization to give up power to local communities? I am among the hearty few who lament the passage of the 17th Amendment, enshrining popular election for U.S. Senators rather than state legislative selection, as it eliminated the representation of state governments in our national government. This removed one of the bulwarks of federalism and local control. My passionate belief in the error of this amendment is matched by my belief that we are never getting rid of it. I confess that my own imagination fails to come up with any practical scenario in which power significantly devolves to states or local governments. We are left with, I fear, a choice between a deep, order-shattering crisis and wishful thinking. Finally, Pabst’s failure to define his terms colors the whole work. He never lays out a clear definition of what he means by liberalism and its possible alternatives. Pabst’s use of the phrase “illiberal democratic liberalism” cries out for a new term. “Contemporary liberal democracy is increasingly illiberal and undemocratic,” says Pabst. If it is illiberal and undemocratic, it is not liberal democracy but something else. What is that something else? Here I think Pabst, in his eagerness to separate himself from liberalism’s nationalist and populist critics, fails to appreciate that such critics as the Brexit advocates or Donald Trump share many of his appraisals of the modern condition. The populism he dislikes–Trumpism, Brexit, and the more obviously racialist versions–is like an autoimmune disease that overreacts to a contagion. That doesn’t mean there is no contagion, but that the body is reacting the wrong way, as is our body politic in the form of crude populism. Pabst is not systematic enough in separating the partial truth of these populist and nationalist movements from their obvious errors and excesses. One can recognize the legitimate grievances of many Trump voters while simultaneously noting that Donald Trump, to say the least, is a flawed vehicle for addressing those grievances. Liberalism’s positing that we can desire without limit, that we can control and manipulate nature to our own ends, that by pursuing our own selfish interests somehow the public good will magically emerge, tempts us toward the belief that no hard choices need ever be made. To the point central to Pabst’s fine work, we wish to avoid the disquieting notion that perhaps strong communities and maximization of material well-being are at odds with each other. In order to have strong communities we perhaps must make peace with the notion that we will be materially poorer, with all the dire consequences that come from poverty. Conversely, we can have all sorts of economic dynamism and efficiency, but this may come at the cost of reducing human dignity and undermining institutions necessary for a fulfilling life such as family and community, leaving people more lonely and anxious. We also need to make a distinction between aggregate increase in wealth, usually measured in GDP, and the actual well-being of citizens. How that GDP growth is distributed may be as important as the growth itself. Additionally, strong communities with a thick culture need a strong sense of identity, including what we do that makes us an “us” but also what we don’t do. That means stigmatizing certain behaviors. That will cause pain for certain members of our communities who, because of circumstances and choices, fail to be in full communion with their fellows. One might consider how the age-old defense of the family and female modesty went hand-in-hand with stigmatizing unwed motherhood, perhaps to the aggregate benefit of society but to the detriment of many unfortunate women. To the contrary, our radical commitment to autonomy has greatly enhanced individual choice, diversified our communities, and has led to much greater acceptance to all sorts of minorities. But as Mark Regnerus has pointed out, greater sexual autonomy, to cite one kind of autonomy, has been a great boon for sexual minorities while making it more difficult for the majority to find stable, mutually beneficial relationships that lead to maturity, marriage, and family. It seems, as per Mick Jaggar, we can’t always get what we want. Political life, and life in general, requires us to deal with limits. 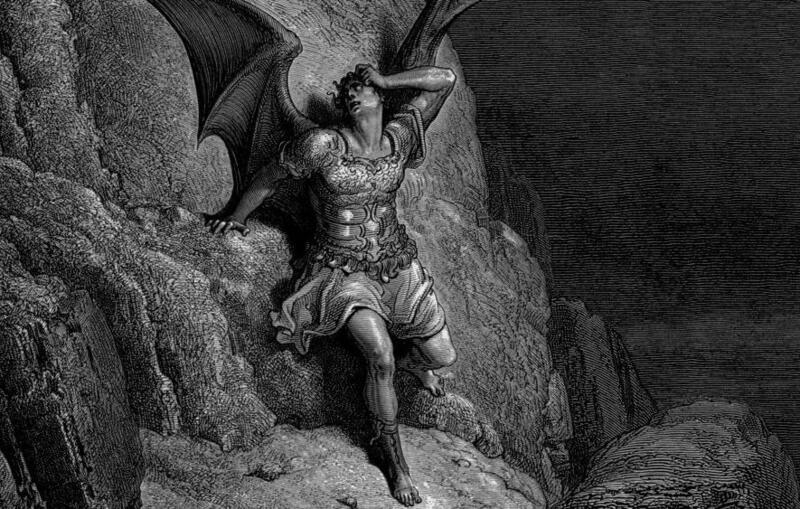 Obedience comes hard to us, thus the attraction of Milton’s Satan who would rather rule in Hell than serve in Heaven. So in fact the demon may not be in liberal democracy, but in the heart of every person. 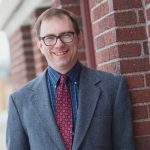 Jon D. Schaff is professor of political science at Northern State University in Aberdeen, South Dakota where he teaches courses on American politics and political thought. 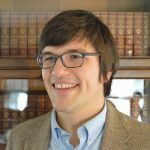 He is author of two forthcoming books, one on the statesmanship of Abraham Lincoln and a second co-authored work on the depiction of our anxious age in popular culture. He lives in Aberdeen with his wife and four children. This is why Rieff argued that our only contemporary answer to the the question “What for?” is “More.” This review has clarified something for me. For most of my life, I’ve been of the view that I trust the State less than I trust Big Business, largely on the argument that at least business has to turn a profit and so at some point, words actually have to mean things to make that happen, “success” has to be defined, and so on. Or, to be Orwellian about it, “War” can’t be “Peace” if you want to make money. Lately, though, I’ve been increasingly inclined to assign them the same number on my 1-10 lack-of-trust scale. This review sounds like it is headed in the same direction. No, no, no, a thousand times no. The push for government censorship since November 8, 2016, is frankly terrifying. And it will backfire spectacularly, by making martyrs of those it attempts to suppress, and leading to the rise of politicians who make current populists look like pikers. When I said I trusted the state and business at the same rate, I should have specified that that rate was a “zero,” your comment illustrating exactly why I take that view. People often talk of economic/social axes, but economic/authoritarian is better. Anyone who looks at the world today and think The Solution is censorship (explicitly by the government, or by communications networks under social/government pressure) of anti-establishment ideas is either deluded, dishonest, or deranged. You may think that FPR is too trivial to be noticed and suppressed in such a world, but you’d be wrong. Even here we get occasional random commenters that say that localism, agrarianism, etc., are racist/misogynist/whatever other random bad hateful thing they are obsessed with, and in the world we’re building any outlet that is so labeled can and will be ruthlessly crushed. I hope that FPR is important enough to be subject of censorship! As a friend of mine once commented, in regimes that kill the poets at least you can say that they take poetry seriously. Is Pabst’s (or your) argument with the liberal part of “liberal democracy” or does he, like Brownson, concerned with the ways in which democracy exacerbates the problems of liberalism? I take Pabst to be strongly in favor of democracy, especially in the workplace. As my review indicates, one flaw of the book is its loose terminology. I am not 100% sure what Pabst means by “liberal democracy.” I do take him to be a critic of unfettered markets and individual autonomy taken to the extreme. I’d associate both with a least some strains of liberalism, especially those that emphasize individual choice. Contra your Brownson quote, I don’t see democracy, per se, as promoting (surreptitiously) inequality. Rather to the extent democracy is to be questioned it is more in its erosion of salutary authorities. See Tocqueville. For the last 15 years or so I’ve trusted the State slightly less than Big Business primarily because the State is the one “with the guns.” Lately however, given the rise of Big Tech and its connections not only to government but to practically all other manifestations of Big Business, I’m starting to view the latter as equally dangerous but in a less directly coercive way. It’s more Skinnerian in nature than pure government power tends to be, and thus less immediately threatening, which serves to hide its dangers. I’ve suspected something of this sort was going on for at least the past half-dozen years or so, and I’ve read quite a lot on the subject. Reading Shoshana Zuboff’s The Age of Surveillance Capitalism has sealed it for me though. The book is a game-changer, and anyone writing about the future of liberalism, democracy, etc., really needs to take its observations/arguments into consideration. Liberal democracy is dying, after looking at convulsions in the West we clearly see this. The main fault of liberalism was the separation of freedom & virtue. At one point liberalism started to understand itself as freedom to moral transgression, this produced great injustice in the form of abortion and hedonism destroyed families, customs, satisfying relationships, brought down fertility rate and led to mass immigration. Separation of freedom and virtue resulted in social chaos simply put. I don’t see a reason why one should lament a social system that makes people behave badly. Democracy has run its course, fine, let’s hope that the new authoritarian political system will make people more virtuous. Um, what “customs” and “satisfying relationships” have been destroyed by hedonism? Who’s satisfaction? Isn’t it just barely possible that the destroyed relationship was only good for one of the participants and the others hated it? Your statement is a list of unsupported assertions. Do better. I meant that liberalism destroyed familial bonds which serve as a counterbalance to the stress people encounter in life and made people lonely and left alone with their destroyed morality and conscience. Opioid crisis came from somewhere. It’s a sign of a dying system.